The last fifteen years saw a seismic shift in the Kinngait Studios. 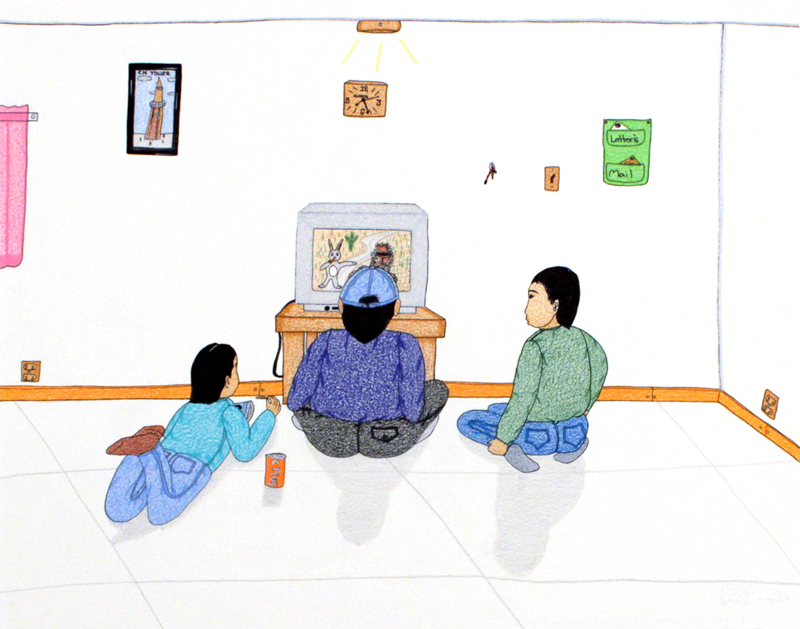 Sparked by the success of drawings by Annie Pootoogook and to the delight of a new audience of contemporary art collectors in the south, drawing came into its own. Artists who previously had made small works based on traditional subject matter began to experiment with different scale, media and imagery. Other artists who were never interested in drawing were drawn into the studios by this new sense of experimentation and freedom. This exhibition presents a survey of work from this critical fifteen year period.